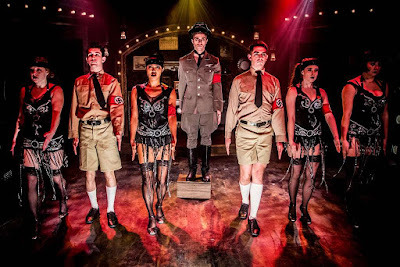 Kander & Ebb’s political musical Cabaret captures a horrific period in history. Set in 1929-1930 as the Nazis were coming into power, it is an unsparingly direct window into the deterioration of a country systematically brainwashed by the lunacy of a madman. It could never happen here, right? 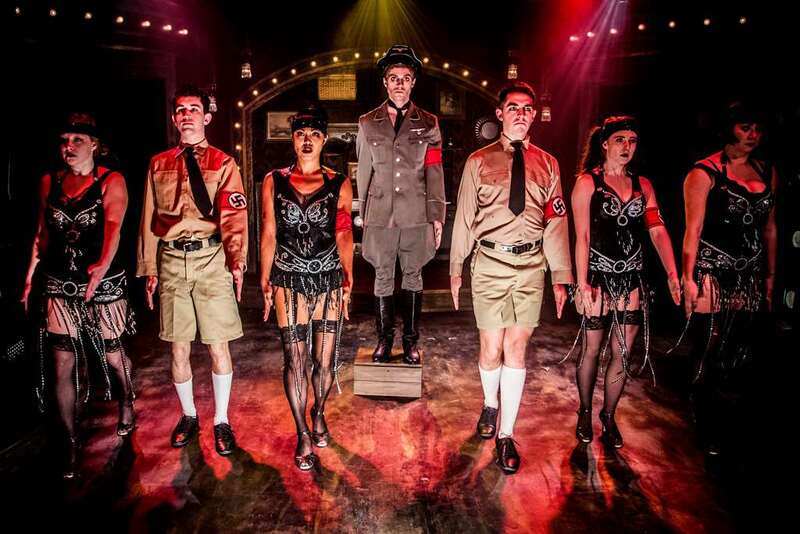 But history has a way of repeating itself, particularly when lessons have not been learned, and Celebration Theatre, director Michael Matthews, and the entire company of Celebration’s revival of Cabaret have one word for the audience – #Resist – or suffer the consequences. The original source material is Charles Isherwood’s semi-autobiographical novel Goodbye to Berlin, which was later adapted for the stage by John Van Druten as the Broadway play I Am a Camera. But, unlike a camera that photographs what it sees without opinion or judgement, leaving it up the viewer to interpret, Matthews has constructed a pressure cooker of a show, using it as an allegory of our own American political journey. 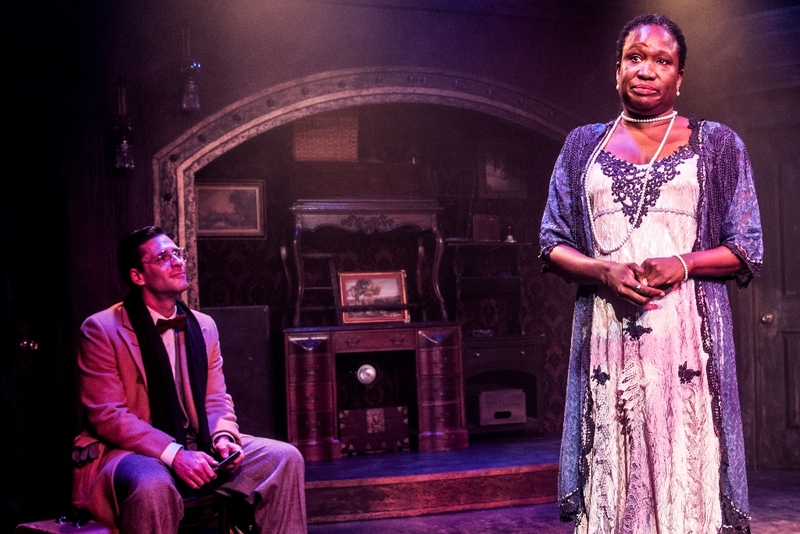 The way he ties Cabaret’s Emcee to the message is equal parts disturbing and beautiful. From the initial picture that opens the show to the final monstrous ending image, this one will chill you to the bone. Alex Nee is the dirtiest Emcee in recent memory. He’s the kind of strung out character you don’t want to stand too close to, for a variety of reasons. A demonic presence given to frequent ferocious outbursts, he is the product of a frightening time, and Nee invades this world with all the harsh superiority of an animal ready to pounce. 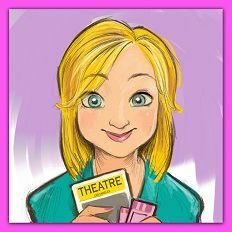 It is strong character work that delivers on the promise Matthews makes at the top of the show and doesn’t let up until the final curtain. Into this lair comes a naïve writer (Christopher Maikish as Cliff) who experiences Berlin much like Isherwood did in the ‘30s. He’s passing through, drinking from a cup he has no idea will poison him in the end. 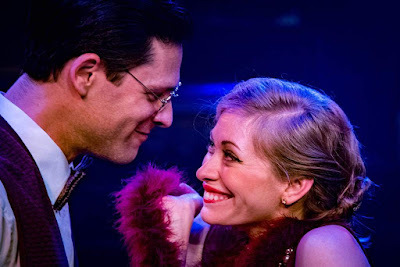 A chance meeting with a businessman (John Colella as Ernst) on the train lands him at the Kat Kat Klub where another chance meeting with a neurotic nightclub singer, Sally Bowles (Talisa Friedman), and their subsequent romance, opens his eyes to the bitter realities he’s been oblivious to. One choice that is rarely made for Cabaret is to cast singers and dancers who don’t look and sound like typical musical theatre performers. Matthews’ ensemble has a degenerate edge and it works really well for his concept. 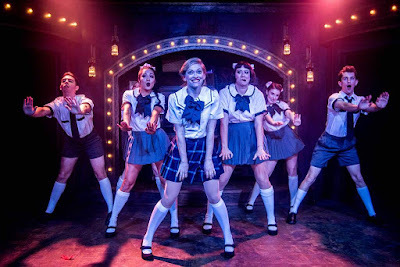 The voices are rougher and pushier, the choreography more manically driven by inner angst than by a need for every move to be executed in perfect alignment. Don’t get me wrong – the dancing is terrific but, this time, I believe that the girls are down-and-outs that Max, the club owner, found in back alleys and compromised rooms. I believe that he’s bedded them all and each is here because life has dealt them a bad hand with no hope of trading it in for something better. Choreographer Janet Roston gives the production a physical language through dance and movement that outwardly reflects the ensemble’s collective rage as well as their reckless abandon when it comes to scratching the itch of the flesh. 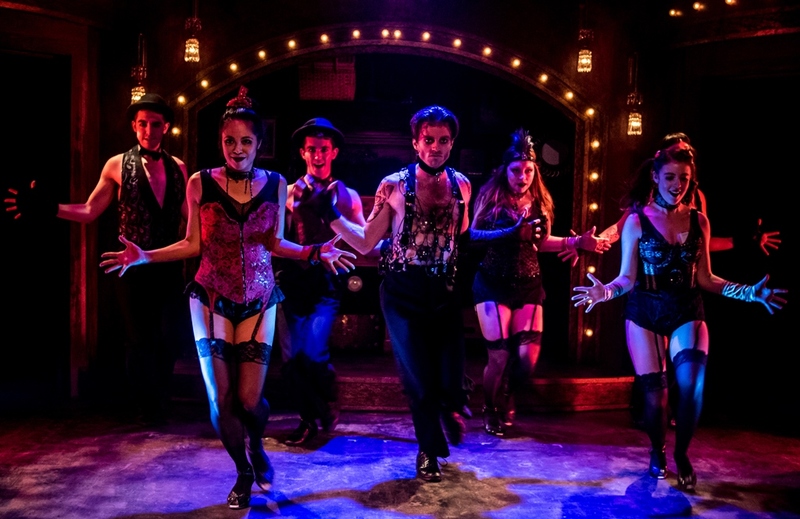 It fits remarkably well on Stephen Gifford’s extraordinary set, which feels like the kind of extravagantly appointed cabaret club you’d find within a dying bordello. The ingenious part is how much he packs into the space: a jewel box stage within a stage, surrounded by audience, designed upward to invoke high ceilings, balcony façades, an orchestra loft, a diorama-like cutout insert for exterior scenes that take place beyond the confines of the club – and all of it done with Gifford’s uncanny ability to make it look effortless…and in a space that should not humanly be able to contain it all. It’s a bit like the optical illusion of an empty room that looks small but, when you move in and furnish the darn thing, it all of a sudden seems to have gotten bigger. Sometimes less is more but, in this case, more is everything, and the fabulous detail of what he has created thrusts you into the Weimar era the moment you walk into the theater. 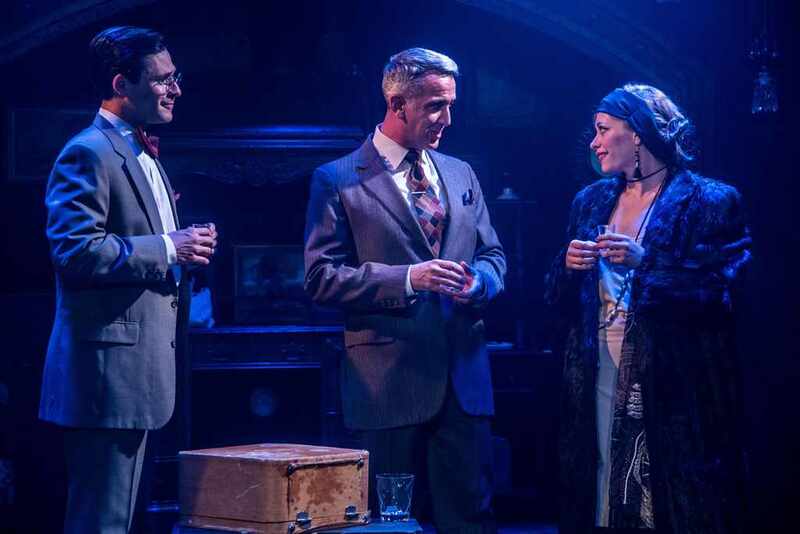 Here’s how versatile it is – lighting designer Matthew Brian Denman adds a single light to the set in exactly the right place and now you have a train. He creates a perpetual haze that permeates the club like a smokescreen to deflect attention from the world outside, and there are times Denman makes the stage look as menacing and visually rich as a Fritz Lang film. Musical director Anthony Zediker sets a crisper than normal pace with the band, which works to the show’s advantage in close quarters. 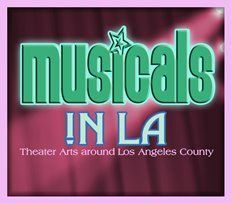 It also plays against the heaviness of the story by lifting the humor, moving the action along, and allowing the big showstopper ballads to strike with more weight. Still, the show isn’t without its blemishes. Dialects are inconsistent and some of the performances don’t quite land. Herr Schultz (Matthew Henerson) sounds more like a guy from the Bronx in Guys and Dolls than a German Jew and making Fraulein Kost (Katherine Tokarz through 7/15) pregnant weakens Sally’s big reveal. Cliff’s energy should be in direct contrast with the rest of the characters but a handsome Maikish leads with his earnest musical theatre presence rather than trusting it isn’t necessary. Colella portrays Ernst as neither outwardly threatening nor quietly sinister. Casting Fraulein Schneider (June Carryl) as a woman of color however adds a wonderfully new layer to the character. Her moral dilemma becomes even more poignant when we see the extent of what it will cost her. It’s all in the eyes.